In 2005, when I ran as a Parliamentary candidate for my home town in England, I invited an American friend, who had worked on Barack Obama’s senatorial race, to join me on the campaign trail. He was expecting a rather more high-tech operation than the one he found. Leaflets were run off an old black and white photocopier and the balloons bore the name of the candidate from eight years before. The American’s first question was “How much have you invested in television ads?” Everyone on the staff laughed. There is no local television in England and it’s illegal to run individual candidate ads on the national stations. I was lucky to get a spot on BBC radio talking about the preservation of an Iron Age fort. It was not the only misunderstanding that day. “Tell the Yank to calm down a bit,” my campaign manager told me soon after we all went outside to canvass the locals. “He’s far too enthusiastic.” The canvassing style favored in England is to stand a few feet away from the crowd and wait for someone to take a leaflet. The American actually had the temerity to walk right up to people and say “Hello.” Realizing that we were losing more voters than we were gaining, my manager called the exercise to an end. We retired to a pub and drank pints in front of a log fire. “Is this it?” my friend asked. I’ve heard many Americans these past few weeks praise British democracy as an alternative to the excesses of the presidential campaign season. Our elections are shorter and cheaper, and the drama of the weekly Prime Minister’s Questions is often taken as an indication of the rude health of UK politics. But looks can be deceptive. While American democracy can be loud, brash, and occasionally tedious, Brits regard it with envy. In fact, we’ve started to import it, piece by piece. IT IS TRUE THAT this Republican primary season has exposed two of the biggest problems with American elections: They are overlong and oversaturated in money and media. Campaigning for the Republican primaries officially began a year ago and for all the debates and town-hall meetings, all we’ve really learned about the candidates is what there is to dislike. Moreover, the contest has been cheapened by all the money that has been spent on it. The advent of Super PACs has allowed campaigns to raise unlimited amounts from shady sources—with the benefit of deniability because the candidates are barred from “influencing” what is done in their name. As of January 23, over 200 Super PACs have reported spending of $26 million in this election cycle. In contrast, British elections are short and quiet. A Prime Minister can call an election whenever he wants (so long as the date lands within five years of the last) and the longest campaign in history was six weeks. Because a government is formed from a Parliamentary majority rather than the popular vote, the campaigning is done constituency by constituency. The party leaders practically disappear from Parliament and TV for the duration of the election campaign, eschewing London for quiet shire-to-shire bus tours. The only TV ads are official “political broadcasts” that are allotted to each party depending on their place in the polls. Three each is usually deemed to be enough for the entirety of the campaign. Yet, despite its successes, Britain’s democratic tradition is actually in the process of being replaced by the American model. The Conservative Party has introduced open primaries to select its Parliamentary candidates, while the government is backing legislation to create four-year fixed term Parliaments. 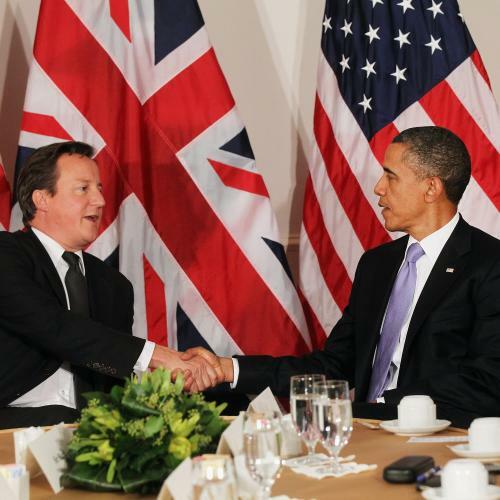 In 2010, for the first time since 1964, the UK held a presidential-style debate between the major party leaders. And the Constitutional revolution doesn’t stop with elections. The British government wants to compose a “Bill of Rights” that will doubtless borrow a lot of language from the American version. The Law Lords, who once made final decisions on controversial cases, have been replaced by a Supreme Court. We are even discussing swapping the appointed House of Lords for an elected Senate. By 2015—the deadline for the next UK election—Britain is likely to look a lot more like its erstwhile colony. Why are the British abandoning their sensible, thrify, and effective elections for America’s flawed version of democracy? Simply put, the British have lost faith in their own tradition. A Parliamentary expenses scandal in 2009 revealed the extent to which many office holders used their position to obtain illegal perks. Some employed family members in order to claim their salaries, took payments for second homes that were essentially leisure pads, over-claimed on tax bills, and even—in one instance—used taxpayer money to clean their castle’s moat. A total of nearly £500,000 ($750,000) had to be repaid, and four Parliamentarians pled no contest to charges of false accounting. These men were able to get away with their crimes partly because they represented “safe” constituencies—burroughs, like my own, that always vote the same way. Lacking serious competition—there is no system of competitive primaries to challenge entrenched incumbents—they became indolent and criminal. The election of a Conservative-led coalition government in 2010 was supposed to put British politics back on the path of rectitude. The system of expenses was reformed and the party’s experiment with primaries helped make Parliament a little more socially diverse. But within a year, it was discovered that the new Prime Minister’s communications director, Andy Coulson, was himself at the heart of an illegal phone hacking scandal. In theory, Parliament should have come out of this story well because its members, for once, were the victims. But the fact that the Prime Minister socialized with so many of the culprits confirmed popular suspicions that the UK is governed by a conspiracy of wealth, influence, and old school ties. The British concluded that a large part of the problem is the sedate nature of our democracy. Its calm, cozy exterior has for too long been a cover for corruption and nepotism. It’s against the background of this kind of cynicism that Britons have become so enamored by American elections. American democracy might look ugly close up, but from far away it is a beacon of hope. Unlike politics in Europe, it is colorful, full of personality, and its triumphalist rhetoric reflects the ambitions of a superpower. Newt Gingrich’s promise to build a base on the moon might seem like a joke to an American, but to a Briton it is a painful reminder that the United States is still powerful enough to entertain such fantasies. Britain imagines that by copying the structures of American democracy—debates, fixed terms, and Supreme Courts—we might gain some Yankee exuberance. Whether or not it will work remains to be seen. But be in no doubt that imitation is the sincerest form of flattery—and a testament to the enduring, global appeal of American democracy. Tim Stanley blogs for The London Daily Telegraph and is the author of The Crusader: the Life and Tumultuous Times of Pat Buchanan, available February 14.